I’m always on the lookout for beer-friendly venues on the South Coast – but they can be hard to find. Especially bottle shops – I’ve lost count of how many times I’ve walked into a bottle shop, seen nothing at all in the beer fridge and had to leave empty-handed (and walking out of a bottlo without buying something feels weird. So, when I started Beer Is Your Friend it’d be a good idea to share some of that knowledge. So here’s the list of places I know of on the South Coast. I hope to add to it as more people get switched onto how good craft beer is and the general crapness of mainstream beer. Also, if you know of a place that I’ve missed, please send me a message to let me know and I’ll add it here. This place, just south of the Wollongong CBD, opened its doors in December 2015. At the official launch in February 2016 there were queues out the door, which is a good sign for both the brewery and good beer in Wollongong. 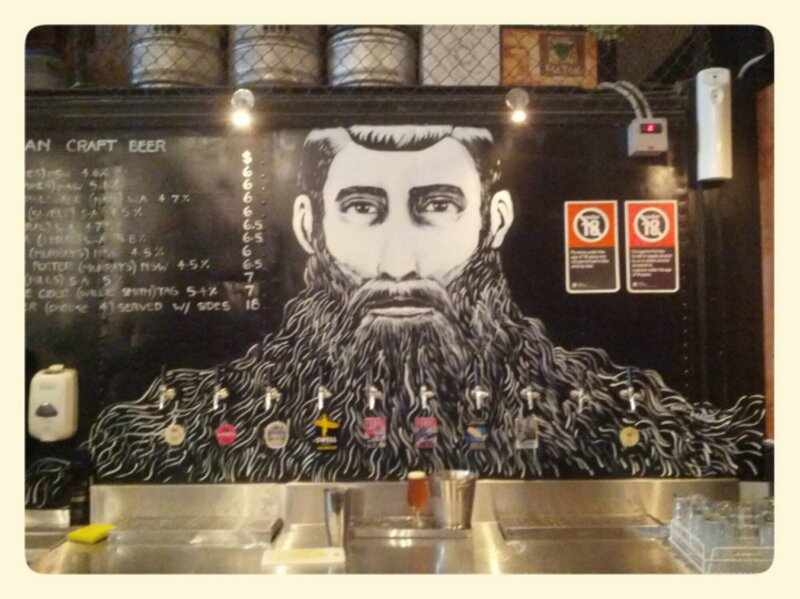 Owner-brewer Phil O’Shea has a range of core beers with some one-keg specials to keep the punters interested. Started in 2011 by former Five Islands Brewing Company brewer Tim Thomas and wife Tess, HopDog has made a name for itself through releasing idiosyncratic beers that make the geeks go crazy. The cellar door is worth a visit because he also ends up brewing beers that are never bottled so the tap is the only way you’ll get them. When it comes to breweries, this is the oldest in the Illawarra. That is if you count its previous incarnation – under different owners – of The Five Islands Brewing Company. The IBC brewhouse is where all the beers on tap at the Illawarra Brewery are made. You can try them there or duck into the tasting room upstairs at the brewhouse. While you’re there you can also pick up a counterpressure-filled growler of some very tasty beers. 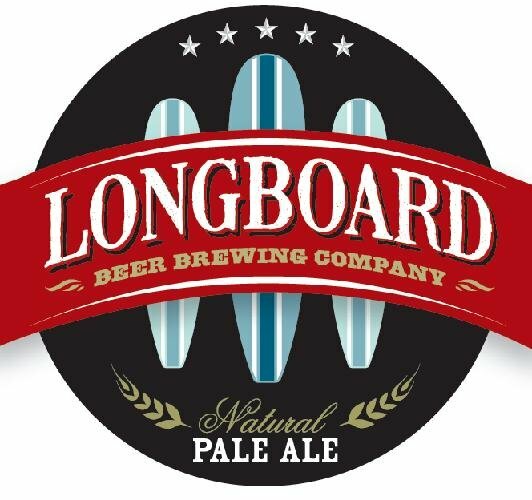 Okay, so Longboard used to be the name of a beer on tap at the Five Islands Brewing Company. But this isn’t that beer. What happened was the owners of this company bought the name and tweaked the recipe so it more resembles the likes of Coopers Green. There’s really no brewery to visit here because, to the best of my knowledge, Longboard is contract-brewed. Not that I have any problem with that. I don’t much care where a beer comes from. 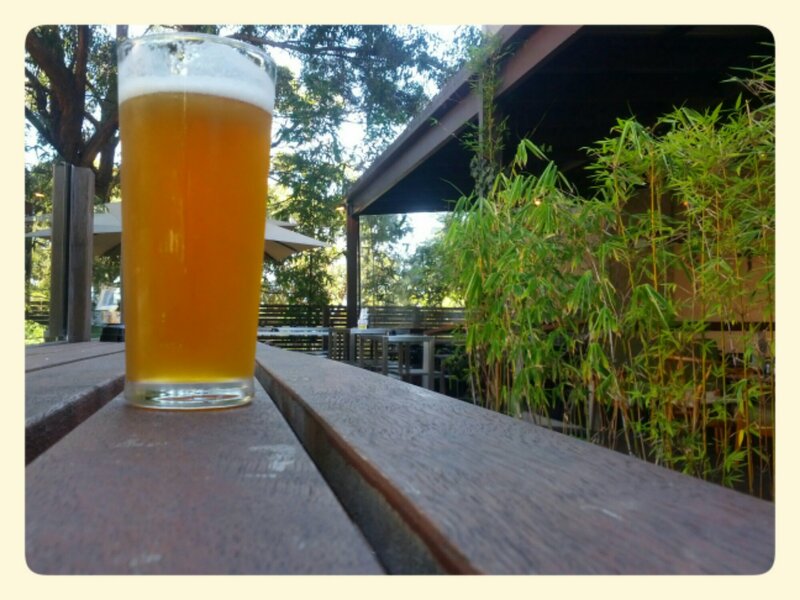 Cupitt’s Winery down on the South Coast – an hour past Nowra – also dabbles in making beer. They’ve got a 300-litre microbrewery on-site and they’re pumping out what they’re calling Cupitt Craft Ales. Right now, the brewery cellar door is the only place you can get their beers. 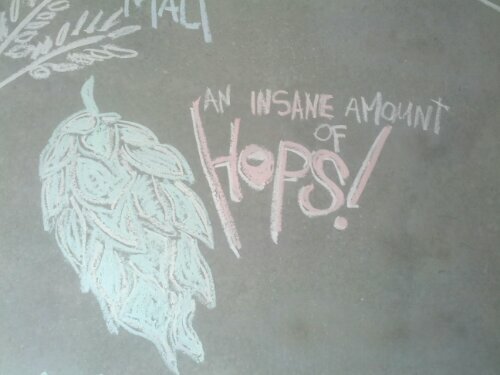 But they do offer growler fills so you can take some home. I haven’t been down this way since the brewery opened but I hope to get there one day. 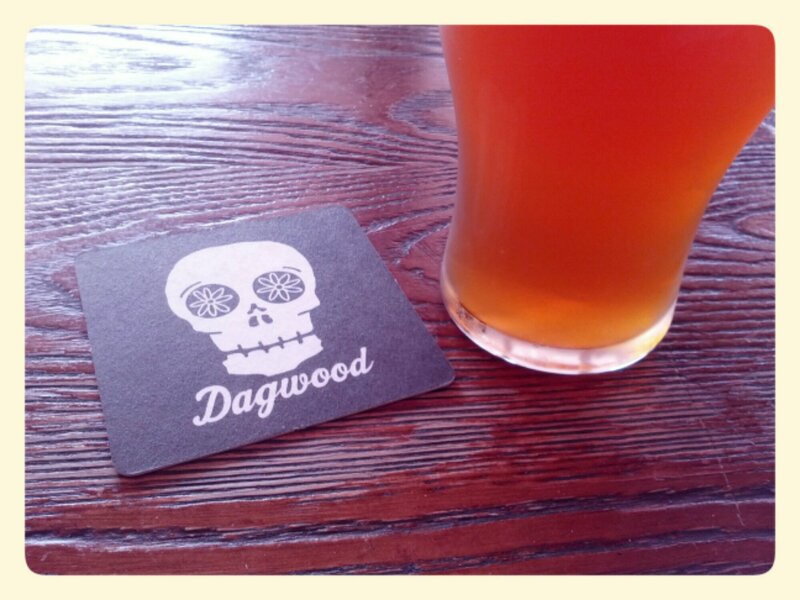 In the early days I didn’t have much time for Dagwood, due to its pedestrian beer selection. And the fact that I felt too old to be in the place. But things have changed – I’m still too old to be in there but I have an excuse because they’ve been getting some cracking Australian and international beers. And the food’s pretty tasty too. 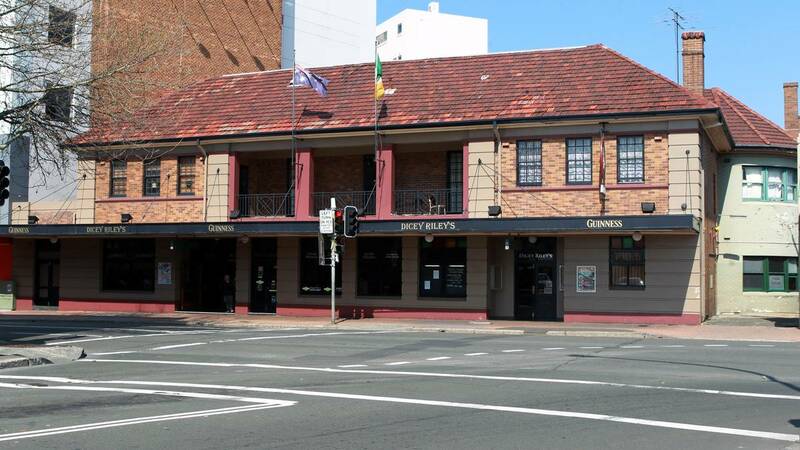 The place used to be heavy on the Irish theme – back when the Wollongong CBD had TWO Irish themed pubs. These days, they’ve ratcheted the Irish down heaps and started to put on a few good beer taps. Fingers crossed they start adding a few more. Very much a hole in the wall venue – once you see it you’ll know what I mean. There’s just a big sliding door that, once open, allows passersby to see roughly half of the bar’s interior. There’s about three beer taps – it’s pretty much always good beer flowing through them – and some very tasty burgers. It used to be solely known as a whiskey bar and they have well over 100 different bottles on the shelves behind the bar. But they’ve now broadened their horizon to offer a big bottled beer list as well. The list runs to three pages and includes as many as 70 different beers. – it’s probably the biggest range offered by a bar in the Illawarra. 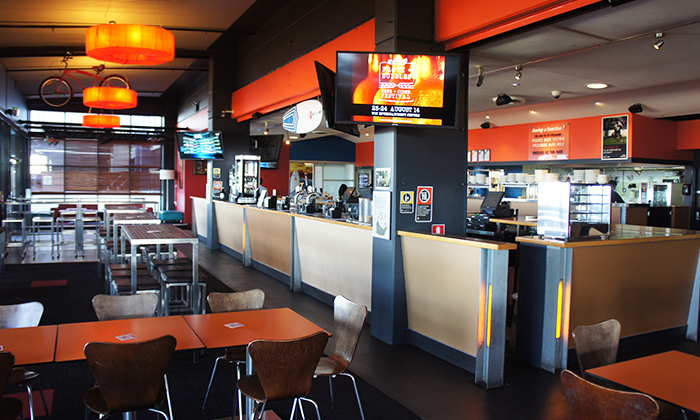 You could call this the ‘‘showcase bar’’ for the Illawarra Brewing Company. 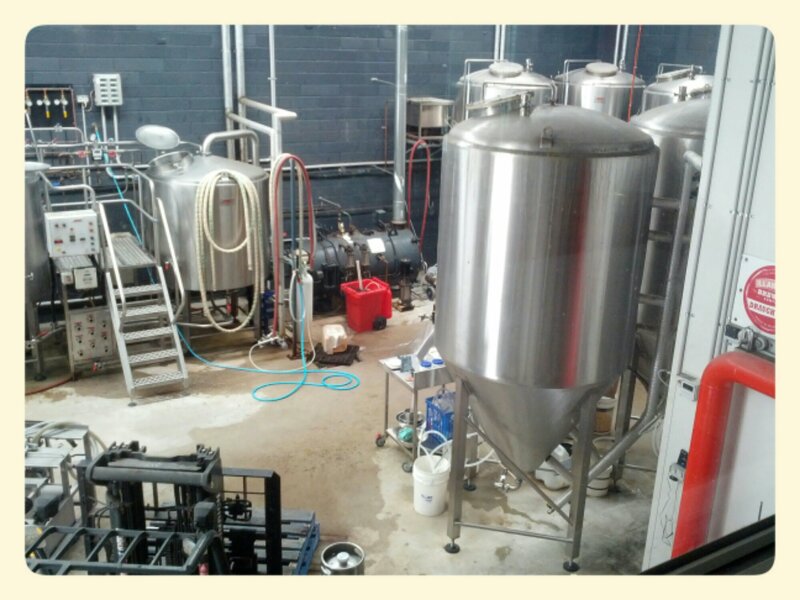 Owned by the same people, this is where all the IBC beers are on tap. There are also some guest taps from time to time, but not as often as I would like. The food’s pretty good – on its day it’s something special. I ordered nachos here once and I still dream about them. There’s a great outdoor section that looks out onto the ocean so it’s a great place to sit on a summer’s afternoon and have a few beers. 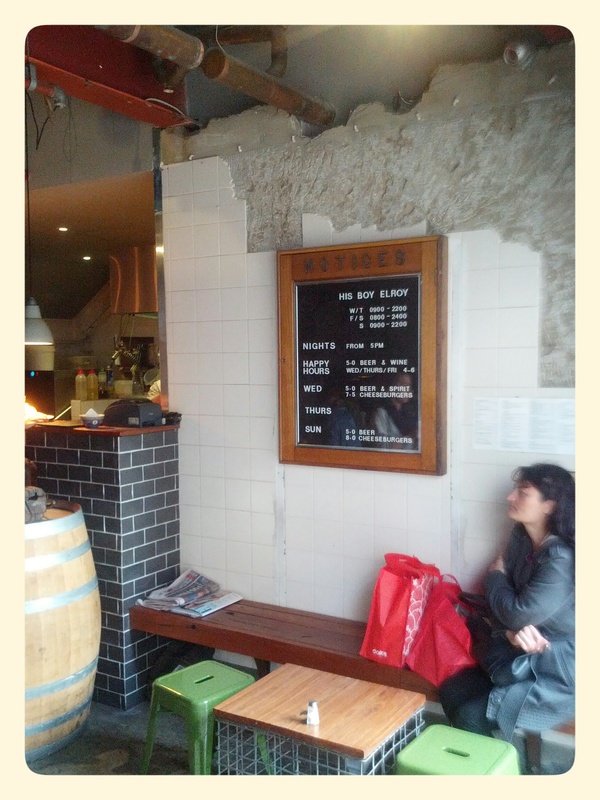 To me, The Little Prince very much resembles the small laneway bars you find in Melbourne. The door is next to an entrance to David Jones, so you don’t expect much. But once inside it’s a pretty trendy little venue, and one with a lovely beer garden set-up in the heart of the CBD. And yes, they’ve got great beer on tap. It used to be known as The Bar Next Door to Samuel’s – because it was next to Samuel’s Restaurant – but they’ve changed the name. Changed the decor too – now it looks quite schmick. There’s three taps on the bar and a selection of at least 12 different bottled craft beers. And the food is pretty nice too. Previously known as Three Chimneys, this is now under new owners. I haven’t been in since then but I understand there’s still 10 beer taps going. It’s a popular spot – especially as the sun goes down, so don’t be surprised if it’s hard to find a seat. There’s not a lot of bottle shops south of Wollongong that sell good beer. But this place is a definite exception. In fact, I’d rate it as one of the best craft beer bottle shops in the city – in part because it gets in beers that no one else stocks. The fridge full of the good stuff can be hard to find in this bottle shop. Most people tend to walk straight past it and head to the long wall of fridges that line one side of the shop (but which can have some good stuff too). So when you walk in make sure you hang a sharp left and check out the one fridge with the really good stuff – I like the fridge because off it’s eclectic and odd range. This bottle shop is known for its knowledge and range when it comes to wine. But they’re also stocking good beer these days and are forever trying to work out how to eke out more space for it in what is a small shop. So while they can’t fit a lot of stuff in, they do get good stuff. Sometimes they’re the only place in town stocking it. Also, if you really want to get your hands on a beer, they’ll have a crack at finding some for you. Some have little time for Dan Murphys but for a lot of people it can be their best source for good beer. While I tend to go to the other bottle shops in town for beer, I still check out this Dan’s outlet just in case they’ve got something interesting. Sometimes they do. 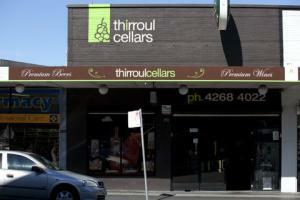 As surprising as it may seem not all Dan Murphys outlets are created equal. In this instance, the Shellharbour Dans isn’t as good as the one in Corrimal. And it’s not just me saying that – I’ve had others express the same thing. It’s down to the fact that there always seems to be empty spaces on the shelves and that the Shellharbour store just doesn’t seem to have the range of the one at Corrimal. For the most part, this place is your standard bottle shop, just on a bigger scale. With at least one exception. 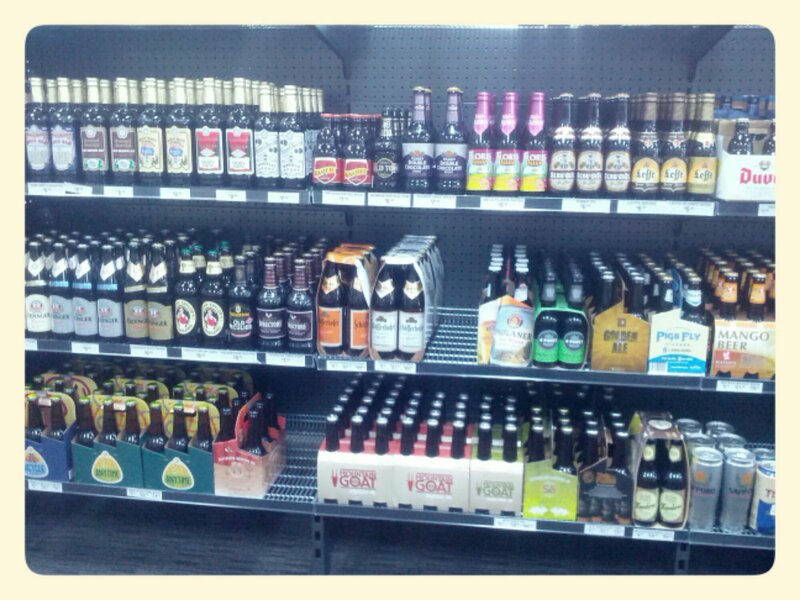 Down in the far left-hand corner is a nifty range of European beers – that includes most of the Trappist range. My guess is that this place is the only one in town that stocks Orval, plus some other beers I’ve never seen before. The first time I went into this store I was excited. They had Holgate! And Prickly Moses! Beers no-one else had at the time. Every time I’ve been in there since, it’s the same thing. 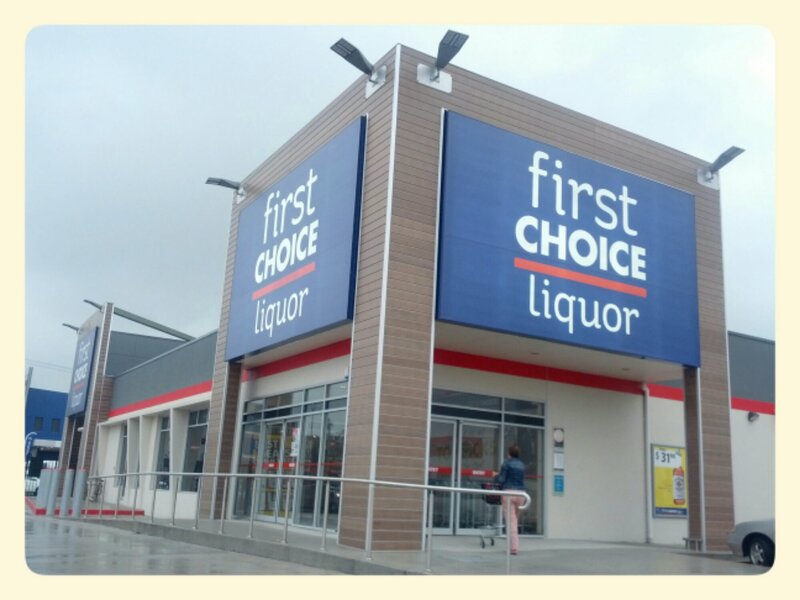 While Dan Murphys regularly adds to their beer range, First Choice seems to ignore it. Maybe that will chance once the Dans outlet 50 metres down the road is built. This place is a more recent addition on the good beer circuit but is really making up for lost time. Once they decided to stock good beer, they really went for it, filling up two big shelves and a couple of fridges before running out of space. So they’re looking for more space, and considering installing a growler system too. My measure of a good bottlo in Wollongong is one that stocks things no-one else does. These guys are doing that. This bottle shop is a bit out of the way – about an hour south of Wollongong – but it is worth the trip. The range isn’t replicated by any bottle shops on the South Coast – I’ve even seen a few bottles of ultra-geek beer Westvleteren. The beers can be a bit pricey at times but, I guess, you can do that when no-one comes close to you in terms of the range of beer. It’s not too far from my place, which is handy. And even handier is that they stock some goods beers – from the US and Europe. You’ll find some of them up the back in the fridge in six-packs and some on the shelves up the front. These are places I’ve heard about second-hand but haven’t visited myself, so I can’t vouch for what they offer. You’re absolutely right – it’s a great bottlo and I have been remiss in not adding it before now. Mollymook Fine Wines and Ales has a good selection. Cupitts Craft Brewers now sold there and Justin Lil plus about 6 of their beers on tap in house and individual bottles to take away.